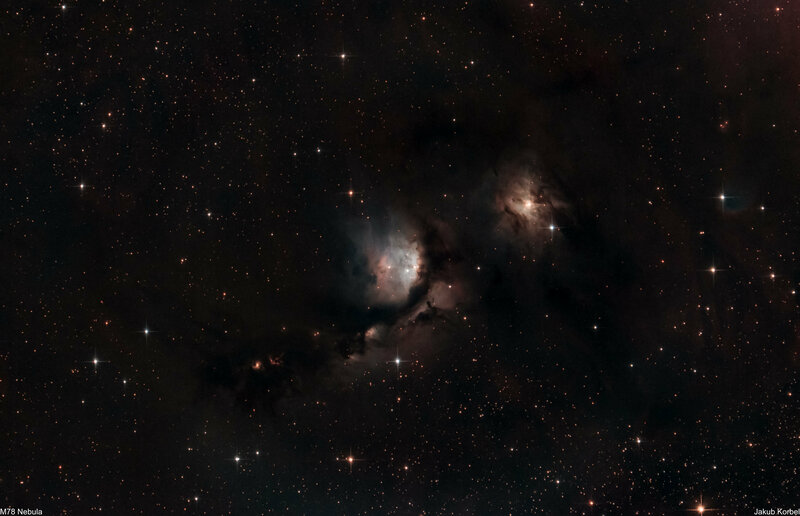 Messier 78 is a reflection nebula located in constellation Orion, visually not far from stars Alnitak Alnilam and Mintaka, which form the Orion’s belt. This nebula is one of the brightest reflection nebulas on the sky, due to reflection of the light coming from two bright stars called HD38563A and HD38563B. My previous attempt to capture this nebula during my expedition to Schwarzwald was not that successful, due to the due problems, therefore I dedicated nearly 3 hours to this DSO. However, it looks like the picture would need longer integration time.